Christopher Sexton is an Associate Lecturer (Teaching and Research) at the School of Dentistry, The University of Queensland. In this role, he has been researching: the oral health of people living with Multiple Sclerosis; longitudinal changes to oral health status for women of middle age; and contributing statistical support to Doctorate of Clinical Dentistry students. From 2015 to 2017, Christopher was a research officer at a musculoskeltal research centre at Australian Catholic University. 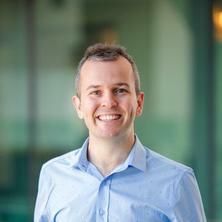 Currently, Christopher is completing his Masters of Biostatistics through The University of Queensland.